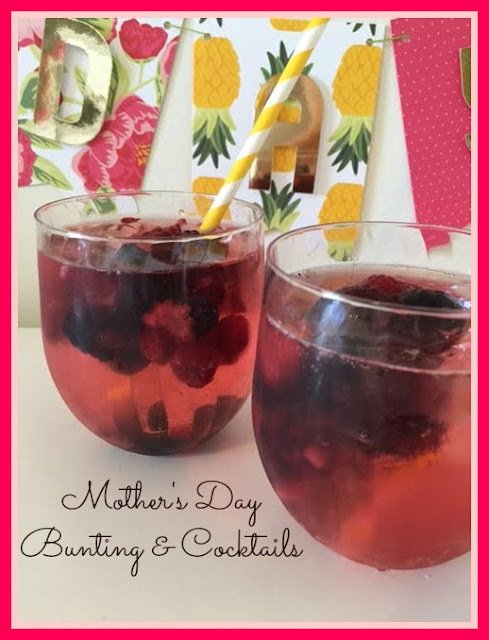 Mother's Day is a big deal so let's celebrate! Mother's Day does not include doing dishes! Pick yourself up some Chinet Cut Crystal Wine Glasses and make yourself a drink! Grab some delicious S. Pellegrino, your favorite fresh fruits, (I used blueberries, blackberries & raspberries in mine), some chunky ice for a delicious non-alcoholic cocktail made special for the lady of the house. S. Pellegrino comes in mini bottles too! Add a pretty Mother's Day Banner and fresh flowers and you are ready to celebrate! This adorable paper line was made using Jen Hadfield's "Everyday" line from American Crafts! 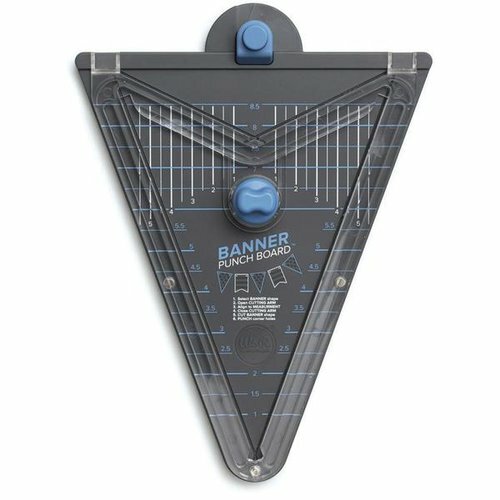 This We R Banner Punch Board from American Crafts is my "go-to" tool!